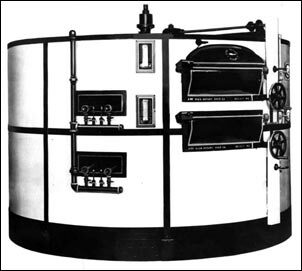 In 1868, Joseph Vale was issued the first of many patents for his 10-foot rotary oven. During 1869 Vale moved his production of Rotary ovens to to Chicago, Illinois taking along with him, A.J. Fish, the fiery young brick mason turned owner of FISH Rotary Oven. 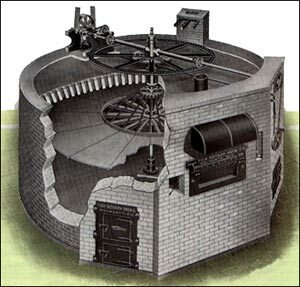 In 1874, The first FISH Rotary Oven was built- two years before Alexander Graham Bell invented the telephone! 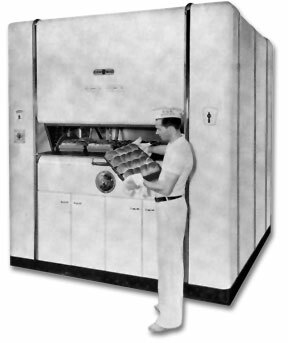 For 35 years, the Fish Rotary Oven Company was the only manufacturer of Rotary Ovens in the United States. Keeping step with the development of the baking industry, a Mechanical Revolving Tray Oven was developed worthy of the FISH reputation. Here at FISH, we are proud to be the oldest manufacture of mechanical ovens- giving our customer nearly 130 years worth of knowledge and experience!